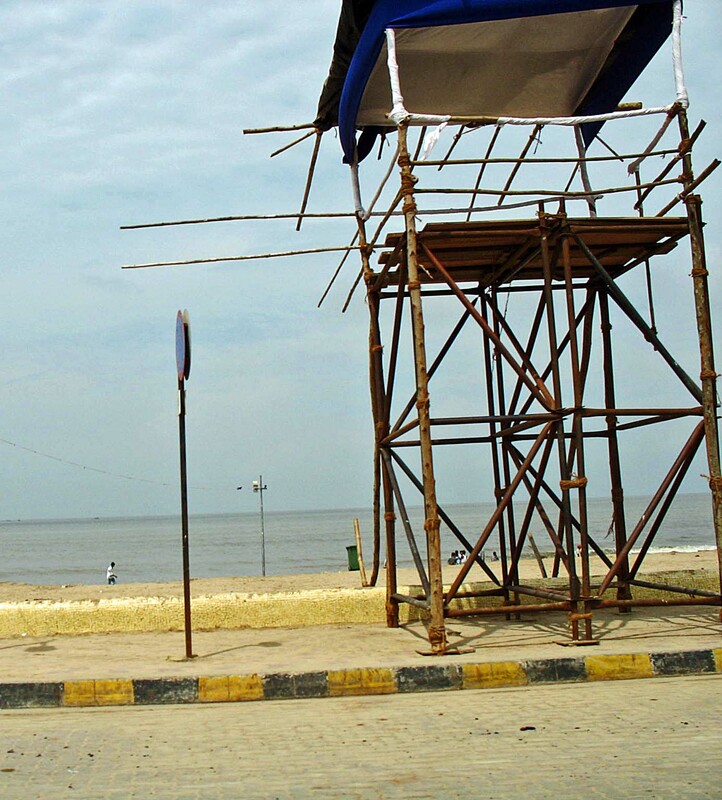 This is a wooden structure put up where life guards can sit and keep an eye on the swimmers. It was incomplete when I took the picture. The system of lifeguards on public beaches is fairly new in Mumbai, perhaps just a few years old. In the rest of India it would be pretty novel as life has little value here.